Along with the target examinations, we at MOTION coordinate many National & International competitive exams, short term workshops, mock tests & various test series are arranged . Those students who are unable to join year long classroom programmes due to any reason, can also attend such workshops and can prepare themselves for exams in a short span. 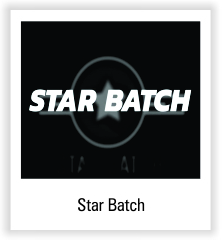 This unique feature is available only at MOTION . 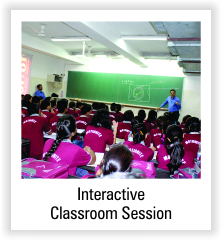 Our faculty members are specially trained to understand MOTION’s academic system. We provide our students with the facility to select their teachers so that the student – teacher bond becomes strong which further enhances the result of students. 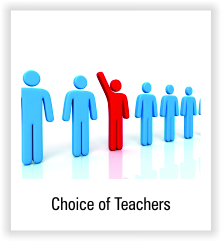 We provide the same quality of teachers to all the students irrespective of their batches and students can choose any faculty depending upon their understanding & comfort. Engaging students through interactive learning promotes independent thinking. We at MOTION focus to make the education a two-way communication process and encourage our students to think, brainstorm and not just cram a few rote concepts. 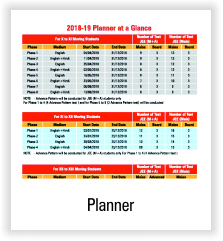 Course-wise year long planner is prepared and provided to all the enrolled students in the beginning of academic session. It consists of date-wise description of various chapters along with the number of lectures & duration. Courses at MOTION are so well planned that students don’t feel the need of any revision or back up classes. However such classes are arranged for those students who missed their regular classes on genuine grounds with a prior approval. It’s a unique program for the students that integrates school syllabus mastery and test preparations skills with personal self-study and focused coaching. At Motion, we believe to be always in sync with the time that is why the teaching formats we offer are best of both the worlds. We prepare the students for their board as well as the competitive exams so that the students are synchronized in a stress-free environment. Student’s potential is recognized and then categorized in the ‘Distinctive Performers’ group which is the ‘STAR BATCH’ where they are taught in a highly focused environment. This enhances their capability and brushes up their talent to the finest levels. This batch consists of the best students & the level of competition amongst them is very high. For this batch, reshuffling within all the batches happens after every 3 tests and best 5% students are selected. The results you achieve is directly proportionate to the efforts you make. 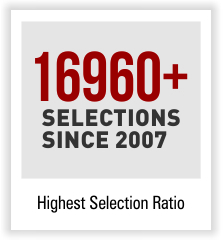 MOTION has highest student selection ratio in all the target competitive examinations. 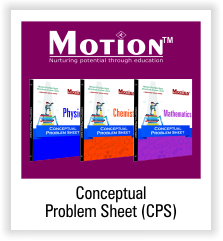 CPS (Conceptual Problem Sheet) including 12 exercise sheets with 10 – 15 questions related to the current and previous topics is provided to students quarterly. This ensures regular revision of all important topics. Teachers have a lot to do with their students motivational level. Students may arrive in class with a certain degree of motivation, but the teacher’s behavior, teaching style, the nature of the assignments and informal interactions with students, all have a large effect on student motivation. We at MOTION make sure every student is full of enthusiasm & motivation. 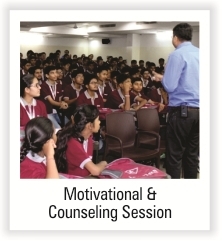 We keep on arranging motivational & counseling sessions as & when required. Database is maintained which includes attendance records and results of periodic tests. 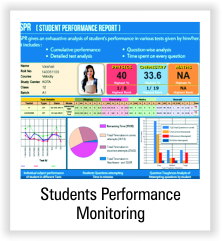 Both parents & students have access to these performance sheets. All students are required to attend all classroom sessions and test series except under the unavoidable circumstances. 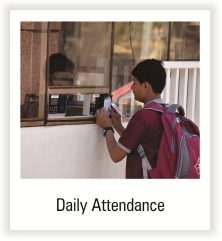 Information about student’s absence is provided to his or her parent through SMS or call depending upon the number of days of his / her absence. 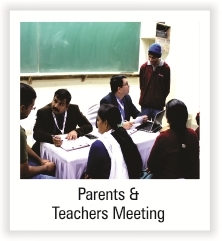 PTM is the only platform when parents can interact with faculty members. It is conducted usually thrice in an academic session. It gives parents an opportunity to discuss their doubts, concerns and queries. 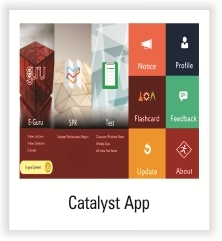 Student’s academic performance in each test is analyzed on various parameters at macro & micro level & detailed report is made available on website under student zone & on catalyst app. 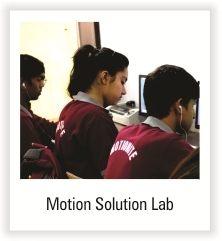 At MOTION we coordinate almost all competitive examinations, conducted by Government & Non-Govt. 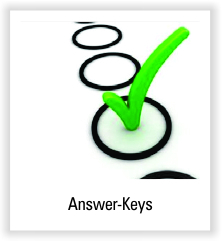 organizations and answer keys of each competitive exam is placed on the website & notice boards. 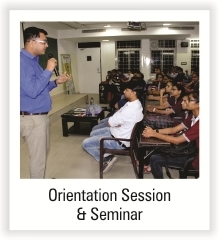 Introductory / Orientation sessions have very much important as students are new to institute & unaware above the system, so to make them understand with all processes, Orientation Sessions are conducted in the beginning of each batch with the objective to make students’ familiar with the system. Study material covers the core concepts of a topic and has relevant illustrations which help the students to understand the basics. MOTION s’ study material has earned the reputation of being the most up to date when it comes to latest changes and trends in examination patterns. Exam oriented knowledge- base covering all the topics, strengthens fundamental concepts and develops problem-solving skills. 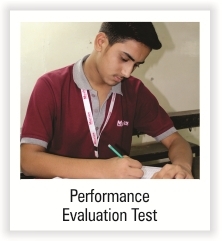 We conduct periodic test series to judge and monitor the performance and understanding levels of students. Efforts are made to create real exam like scenario, so as to get the students acclimatized to exam situation. Appearing regularly in these tests increases student’s speed which is an extremely important aspect in all the competitive examinations. After a topic completion, we conduct doubt removal sessions for that topic. A team of dedicated faculties remain available on a regular basis to solve the problems. Back up classes are planned and arranged for specific students, according to their performance reports, to improve the performance level of such students. Daily homework practice load is kept limited to 25 questions per subject. 5000+ Pages of detailed Topic – wise Theory Notes (For 11th, 12th & 12th Pass). 1000+ Pages of detailed Topic -wise Theory Notes (For 8th, 9th, & 10th). Multi-level exercise sheets with objective and subjective questions. 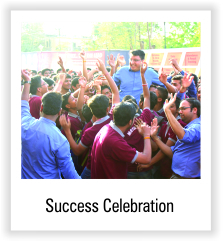 MSL is MOTION ’s unique feature which carves the organization different from other coaching institutes. 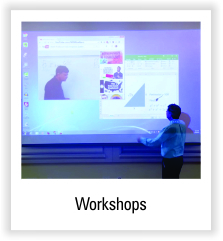 The video lectures are highly in demand and solutions for JEE (Main and Advanced) which consist of all the topics from Physics , Chemistry and Mathematics, along with video solutions of complete exercise sheets. This saves time as well as reduces the need for doubt solving sessions. 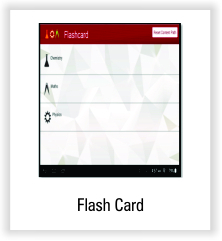 Flashcard free-of-cost offline application which includes PCM study notes and formulas in a nutshell. It is open to all i.e. any student can have access to it by simply registering on the website. Flashcards exercise the mental process of active recall and retention of concepts. It gives the students a brief of every topic as well as tricks and tips to memorize better. It also allows students to revise notes anywhere and anytime. 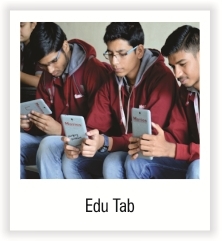 At MOTION , Edu-Tab is provided to every enrolled student. 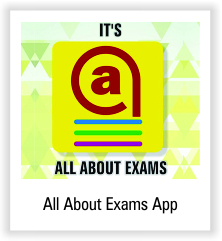 It is one of the best tool for academic brilliance & revision. It consists of recorded classroom lectures and can be accessed anytime anywhere. It is an in-house developed free application which contain a handy info. about various Pre-Medical, Pre-Engineering, Olympiads & Board Examinations. 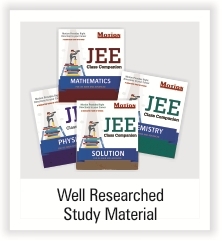 Computer Based Tests are designed as per latest JEE & NEET pattern. They are prepared to give student’s actual exam like environment. 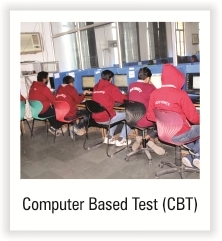 For better familiarization with examination and continuous practice CBTs are conducted. 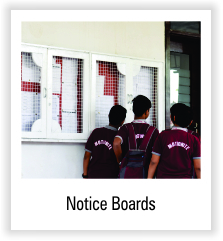 Notice Boards are placed in each building & outside every classroom. All kind of information i.e time-table, results, answer keys etc. are placed on notice boards and students are instructed to the check the notice boards on daily basis. 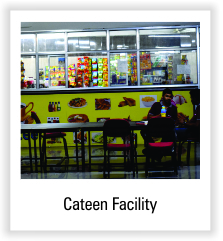 Understanding the students need & demand, we at MOTION provide canteen facility and maintain high standards of hygiene in relation to the preparation, storage and serving of food at the canteen. 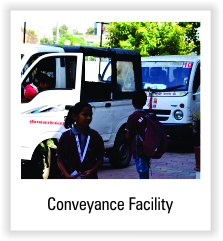 The institute provides transport facility to the students from different localities to the institute and vice-versa. 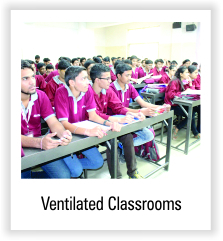 Good ventilation is essential for all and we believe that students perform better if their classrooms are well-ventilated, as it help students to concentrate more into studies. 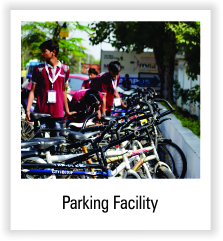 At MOTION, we make sure that all students get proper & safe parking facility. 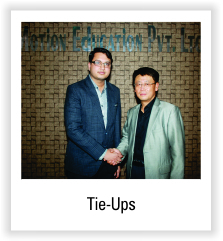 To provide the students with cutting edge technology and provide them e-learning, MOTION has partnered with many esteemed organizations including HCL and South Korea’s biggest coaching conglomerate ETOOS. Appreciation and encouragement have a significant impact on student’s progress. 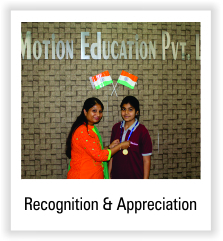 We at MOTION, recognize the efforts of each student & reward them with cash award, medals etc. These scholarships are based on individual’s academic performance. 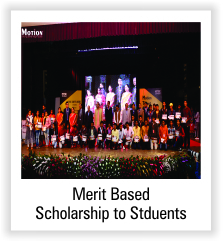 Students are granted special scholarship on the basis of past scholastic achievements. Students satisfactory survey is the important component for the quality assurance. It is conducted at least thrice in an academic session for all batches to measure the academic performance of the faculty members individually and department wise. 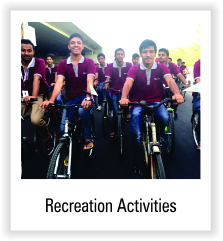 Recreational activities are crucial for good physical and mental health of individuals. Also to overcome with the boredom of routine recreational activities are arranged for the students as and when required. By celebrating the grand achievements MOTIONite scholars, constant motivation is given to the existing batches to achieve high ranks!